Clears rows of emojis with slithering tentacles. 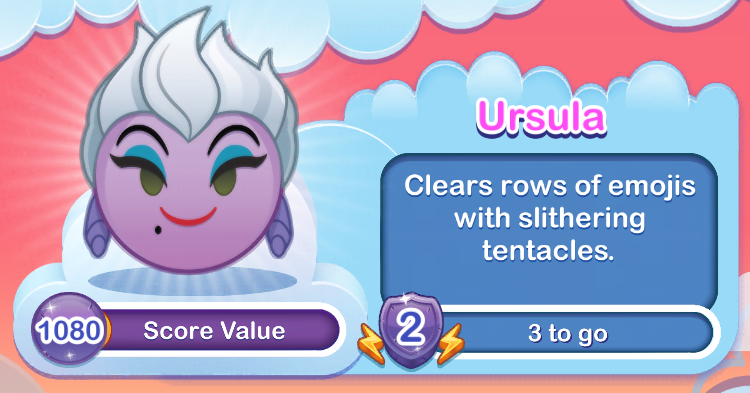 Activate Ursula’s powers and her tentacles emerge from the left and right borders of the board to clear horizontal rows of emojis. When you level up, additional tentacles appear to clear emojis faster! 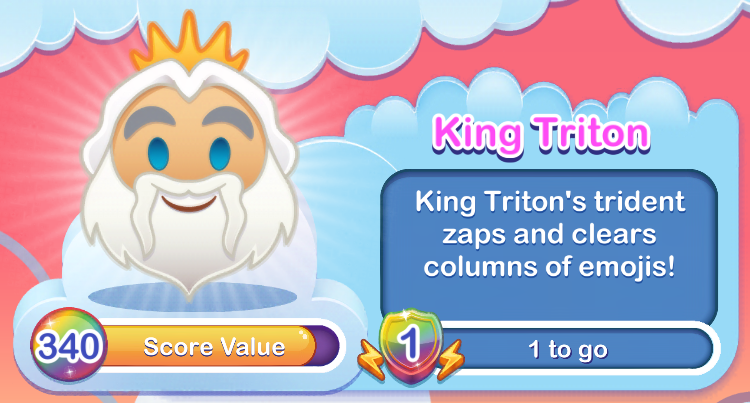 King Triton’s trident zaps and clears columns of emojis! The trident shoots three blasts to clear vertical columns of emojis from the top of the board. Upon activating Sebastian’s power, Sebastian dances for a few seconds while all matches are worth three times the points. Flounder’s power will cause more Flounders to generate across the middle rows of the game board. Flounder can be very useful for creating more power-ups, and is a good choice to use for missions requiring using an emoji’s power multiple times in a game. 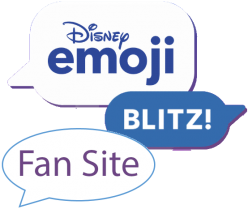 Ariel swims across the board, clearing emojis in a trail of bubbles. Somebody’s got to nail that girl’s fins to the floor!